constant monitoring of the labour market, career fairs etc. preparation of prompt responses to organizations and public appeals related to the above-mentioned areas. 1969 – He graduated from the Ivan Franko State University of Lviv, Faculty of Mechanics and Mathematics. 1969-1977 – Senior Engineer, Junior Research Fellow at Lviv branch of the Institute of Theoretical Physics. 1976 – He was conferred the degree of Candidate of Physics and Mathematics (‘Research of Binary Distribution Functions of Mixed Ion-Dipole Systems’). 1977-1979 – Assistant Lecturer, 1979-1989 – Docent at the Department of Computational Mathematics, 1989-1999 – Docent, since 1999 – Chairperson of the Department of Programming at Lviv University. 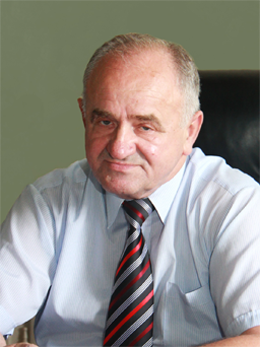 Since 1993 – Vice-Rector for Teaching, First Vice-Rector of Lviv University. 2004 – He was conferred the academic title of Professor. Software development and methodological support of courses in information science for educa-tional institutions. He has authored about 60 scientific papers.